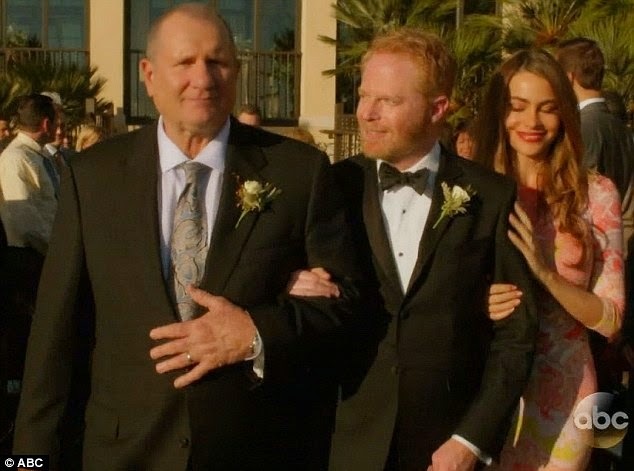 I'm finally catching up on our DVR and I watched the season finale of ABC's Modern Family. I love that show - it's so entertaining. I recognize that in order to be entertaining normally Mitch and Cam have constant conflict, which is different from my relationship with my husband. (It's the difference between television and real life.) Therefore, I was so pleased to finally see the couple get officially married in such a happy (conflict-free) moment. 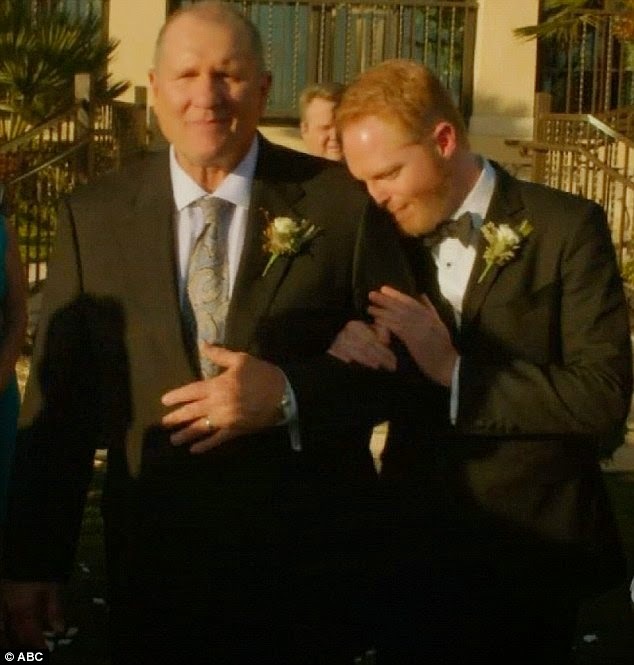 The moment that touched me deeply was when Jay escorted Mitchell down the aisle at the fourth attempted to have a wedding. 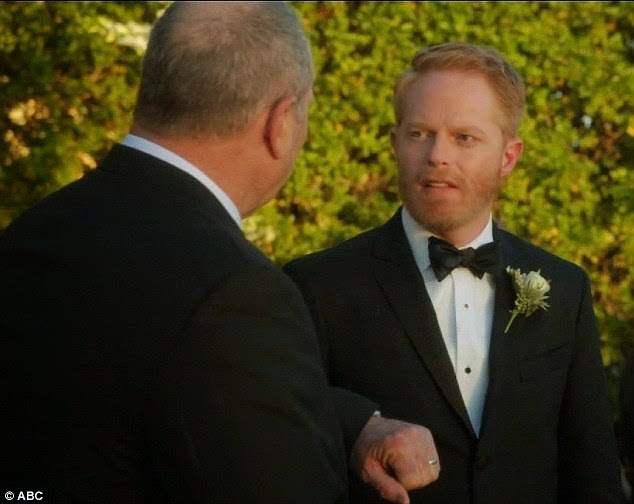 That was a sweet straight father and gay son moment that is remarkable. I also like that Gloria jumped in to add her support. It was a glorious moment of love. Yes, it was so sweet. That program maintains its humor every single week, while also promoting the tremendous value of family.... many varieties of bonds. I love how they are all in each other's lives all the time. 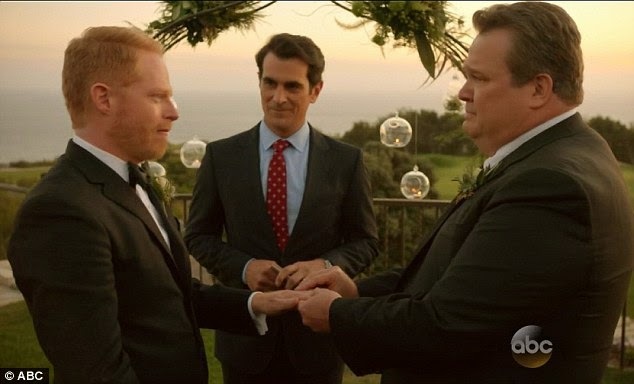 The whole season led up to Cam & Mitch's wedding and it was fantastic.